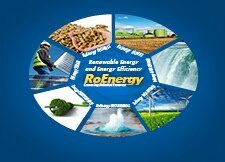 The RE-energy Expo constitutes an international RES platform. Here the RES industry will show its innovative character. RE-energy stands not only for products and technologies but also conferences, seminars, and forums organized together with the trade’s most important organizations and associations from Poland and abroad. RE-energy constitutes a platform for exchanging knowledge, experiences, and presenting modern solutions which are going to make us reach the energy of the future. RE-energy constitutes the biggest trade meeting which brings together the most important players, all significant associations, and the media. The organizer invites everyone who wants to participate in the development of RES in Poland and abroad. We work together, beyond the divisions. The location of RE-energy constitutes the best spot in Warsaw in terms of communication. The EXPO XXI Warsaw Center constitutes the only exposition facility located 10 minutes from the center of the city, at Wola – one of the most rapidly developing districts of Warsaw.